This organic dark chocolate bar combines the delicious taste of smooth dark chocolate with refreshing orange to give a sweet and fruity flavour with deep chocolate. The Fair Trade chocolate bar is also gluten free dairy free and suitable for vegetarians ideal for all diets and chocolate lovers. 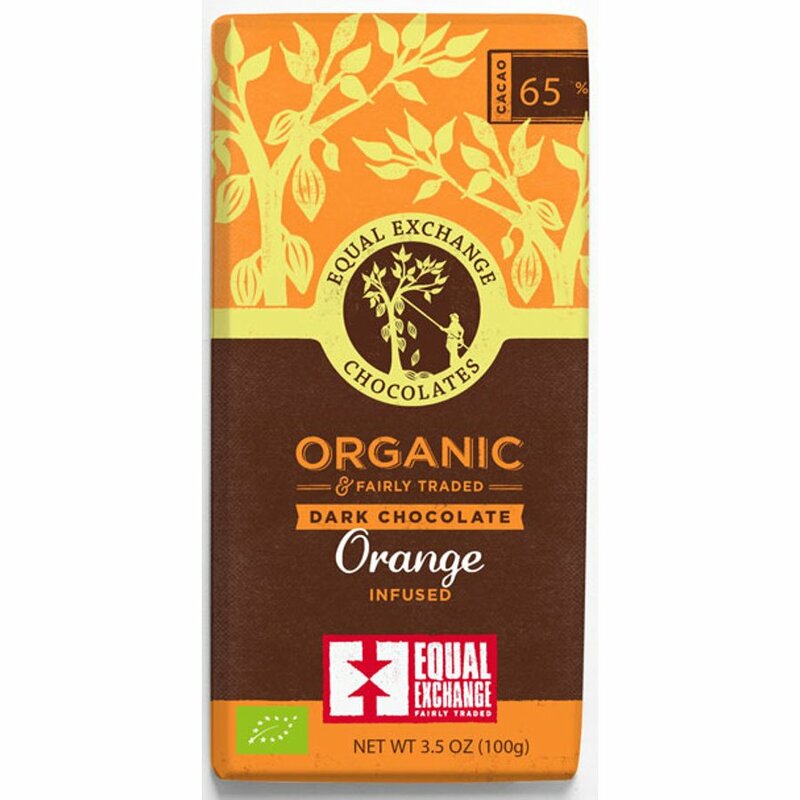 There are currently no questions to display about Equal Exchange Organic Orange Dark Chocolate - 100g.